In today's fast-paced, digital world, it is no longer enough to simply promote your brand. Customers now research extensively and benchmark with peers before considering engaging a solution provider. Delivering valuable, relevant content in a consistent and entertaining fashion is the only way to engage your target markets. Crafting great content takes time, expertise and commitment. 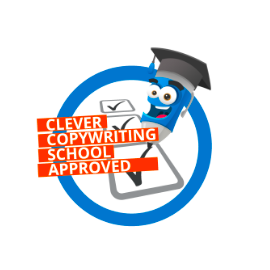 I founded Clevertype Services to help you communicate your message, powerfully. Do you have an expert buried within your organisation that really "knows their stuff" but can't find a compelling way to deliver it? Have a white paper but don't know how to give it legs? Do you have great stories, but don't have the time to drive them further? I provide ghost writing services and can optimise your message across any media, including websites, eDMs, social media, presentations and mobile platforms. Have the content, but struggle with creating a powerful online presence that is also optimised for mobile audiences? You need the right people who understand content and website design to maximise both message and delivery. I have designed and delivered websites for large technology, software and services organisations, guaranteeing the right level of expertise and care for your brand. You have the content and delivery platforms, but don't have the resources to tell your story more powerfully. Today's deadline-driven world means you barely have enough time to take strategies to execution level. Delivering your story powerfully takes time and expertise. I have more than 20 years experience spanning journalism, PR, marketing, market research, media and analyst relations. We guarantee the right message, every time. Unsure what you need, but know there must be a better way to access and engage your audience? I offer pragmatic, honest advice and will scope your project to deliver to your requirements and budget. With more than 20 years' experience, I offer a complimentary consulting service to understand your needs. I am confident I can deliver a solution that meets your needs and delights your customers. Editorial Director of industry-acclaimed Who's Who of Financial Services, 2013, 2014 & 2015 editions.